Refashioned from a German scientist’s laboratory, the Chemex brewer perfectly marries Mid-Century Mod sensibilities with sound science. The resulting cup of coffee is clean and bright, and easily adapted to brewing for a solo cup or brunch with friends. The common sizes for Chemex brewers are 3, 6, 8, or 10 cups. 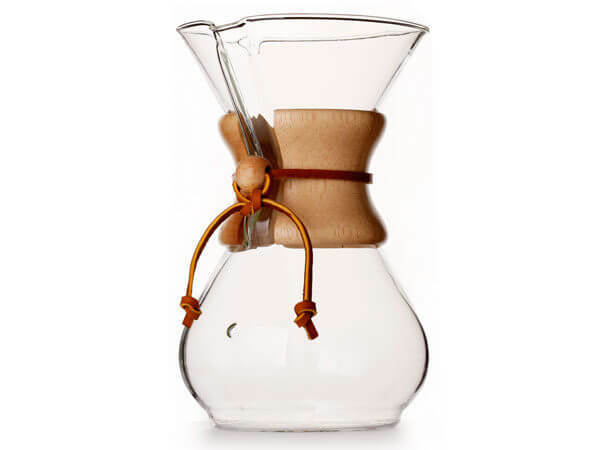 This tutorial walks you through how to brew coffee in a Chemex of any size. Rinse the filter with hot water, taking care to keep the filter as flush with the brewer as possible. Tradition dictates that the threefold side of the filter rest against the pour spout. Dump your rinse-water out using the opposite side as the pour spout, thanks to the air gap in the pour spout it comes out quicker and with less fuss than the other way around. Without this step, it’s possible that you’ll have air gaps in your coffee, or between your filter and your brewer, allowing the water to flow through those gaps rather than your coffee and resulting in an unevenly extracted or “channeled” brew. Fresh coffee contains CO2 gas. This step releases that gas, ensuring more even brewing. It also provides a reliable indicator of the freshness of your coffee: No bubbling bloom when the water is added means that your coffee has already started to lose some of its fresh flavors—time to buy more beans! Begin slowly pouring the water in circular passes around the filter bed. This slow, careful infusion is key to thoroughly saturating the grounds and achieving even extraction. Slowly pour water until the level of the slurry is approximately 1 cm higher than the top of the bloom. Pour one pass and note a change in color at the top of the slurry. Allow the first pass to settle for a moment, and then pour a second pass. Again, note the change in color. Three passes is usually enough to get all the grounds completely submerged at the bottom of the slurry. If the coffee were a little older, it might only take two; if it were fresher, it may take four. The goal is to have no grounds floating at the top of the slurry and for the bubbles to start dissipating. Allow the water to filter through the bed of grounds—it should take 1-2 minutes to finish dripping. Gazing longingly at the Chemex is optional. When the brew is finished, you want a flat bed of grounds looking back at you from your filter. Remove the filter, decant, and enjoy! 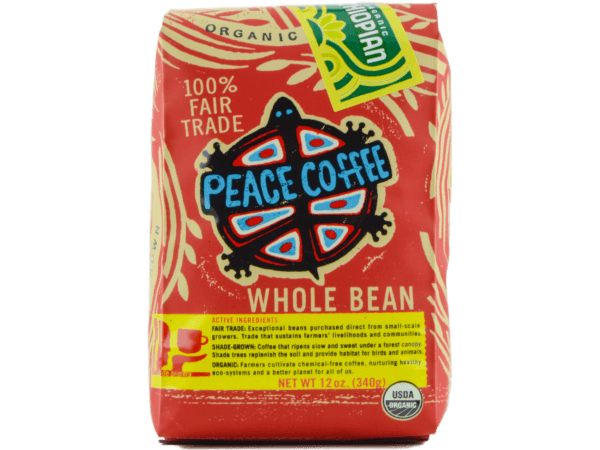 Published by Peace Coffee on July 12, 2013.